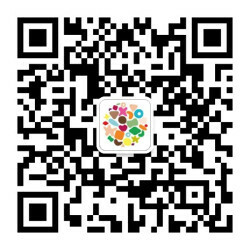 The Ping An Group was established in 1988 in Shekou, Shenzhen. Their mission is to fulfil its commitments to investors by enhancing asset value and delivering stable returns – all the while providing the best customer service with integrity. They want to do their part in nation building – contributing generously to the community, and providing a workplace to their employees that imbues people with strong values: growing valuable members of society. An integrated financial services conglomerate, they have three core businesses: insurance, banking, and investment. Ping An aims to become a global leading financial services group. They saw an opportunity to enhance their lending platform by providing online investment and financial platform for individual investors and lenders. They wanted to pilot innovation in financial business. Partnering with ThoughtWorks, Ping An set about building an online platform that allows investors and lenders to collaborate on securing the most appropriate investment. The platform involves online business functions such as financial analysis, interest calculations, payment facilities and payment instalment calculators. The system demands stability and high quality – such that Ping An can offer customers smooth business process, swift realization and a quick release to the market. Quick, short cycle iterations ensured the project ran to the five-month time frame allocated. Working in a truly Agile manner, the team collaborated closely – co-locating, daily stand ups, continuous integration and automated testing were key to their success. In just five months, Ping An presented their new, innovative business model to the market. Investors and lenders now have access to a reliable, high quality platform – improving business returns, and satisfying a multitude of customers across China.